This is your standard page where you can add boxes of content to your guide. Pages are a great way to organize content in your guides. For example, if you have a subject guide for History, you could start with an overview page, then have additional pages focused on databases, primary vs. secondary sources, citations, and so on. 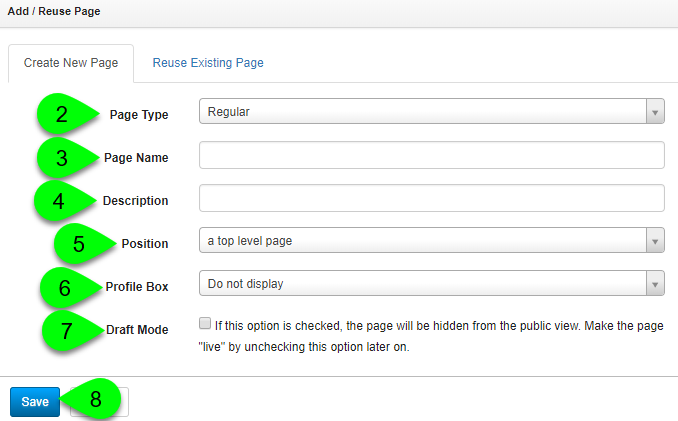 Under the Create New Page tab, select "Regular" from the the Page Type dropdown.